If you’ve ever considered working for yourself, but are dreading having to sort out your tax, then this article is for you. 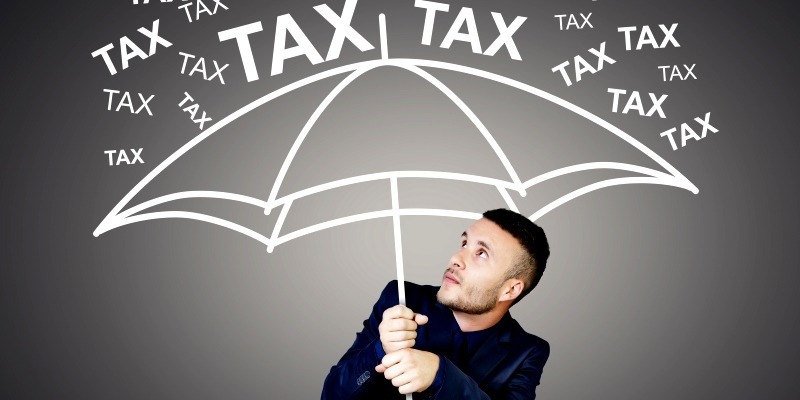 Tax doesn’t have to be the bane of your life, but for many South Africans, it is just that. In today’s tougher economic climate many have to opt for a secondary income and most fear that becoming self-employed means having to move from a pretty pain-free PAYE system (where tax is deducted automatically from your monthly salary) to the more laborious provisional tax system. This requires additional time and discipline, as well as employing savvy saving tips and strategies to avoid an enormous tax bill at the end of the tax year with the possibility of having to resort to consolidation loans to get out of debt. But what exactly is provisional tax and who is affected by it? Provisional tax affects anyone who is self-employed or who receives another form of income such as interest or rental income. In essence, this system requires taxpayers to ensure that their tax liability is met in advance by making two estimated payments during the course of the year (one six months into the new tax assessment year, and the second at the end), instead of filing a tax return at the end of the assessment year. A third voluntary payment can be made to avoid interest charges. The benefit to tax payers is that they no longer need to dread a huge tax bill, and by paying two smaller installments it not only makes it easier for them to plan their tax liability but it also saves them from any cash flow problems when the tax due date looms, unnecessary debt, and the possibility of being forced to seek debt advice and debt counselling. Taxpayers should base their payment calculations on an actual estimate of anticipated income, or on their most recent tax year, adding 8% year-on-year if annual returns have not been completed for more than 18 months. Taxpayers should also be aware that there are penalties charged for late submissions and payments which could lead to avoidable debt and debt reviews. To avoid underestimation penalties on your second return, taxpayers are advised to ensure that their estimate is within 90% of their actual taxable income (if yearly earnings are below the R1 million mark and their first payment consisted of a lower estimate); or 80% if earnings were above R1 million. When starting a new business it’s tricky to get these income estimates spot on as your income may vary initially or be uncertain. Staying focused on your tax responsibilities without incurring penalties becomes challenging if records are not kept up-to-date or business expectations are unreasonable. It is also imperative for fledgling businesses to abstain from reckless lending options to boost their cash flow and to seek debt consolidation if needed. Mike Betts (Grant Thornton’s Cape Town based tax director) suggests that the first step after leaving formal employment should be to choose whether to work as a sole proprietor, with a partner or to set up a company. As a sole proprietor you will be responsible for your provisional tax in your personal capacity, but when you operate as a company, you won’t personally need to register as a provisional tax payer, as this would be your company’s responsibility. He goes on to stress that when starting a business it would be unwise to trade as a company until you reach a certain size as overheads and costs are still critical to your survival. Only once your taxable income exceeds R1.5 million will the effective rate of tax be less if you’re operating as a company, rather than an individual. At the same time, it’s worth noting that individuals pay less capital gains tax than companies. Operating profits need to be calculated with care and it is vital to do these as realistically as possible and to keep annual returns updated to avoid the base from previous years being increased by 8% per annum. “This is particularly important when submitting a provisional tax return for the first time and when submitting the returns for the second period in each subsequent tax year, “warns Betts. Furthermore, any expenses claimed must be applicable to the business and must have been incurred for trade purposes. Betts further cautions against leaving other sources of income out of calculations and urges taxpayers to include capital gains, investment and interest incomes.